Earlier in the week I was very pleased to participate in the latest Night of Adventure, an evening of adventure talks raising funds for the charity Hope and Homes for Children. The tough work of organising the event this year went to adventurer Al Humphreys. He asked me to base my talk around using public transport for adventure, as a way of inspiring others to replicate the philosophy behind Encircle Africa, if only in a small way. 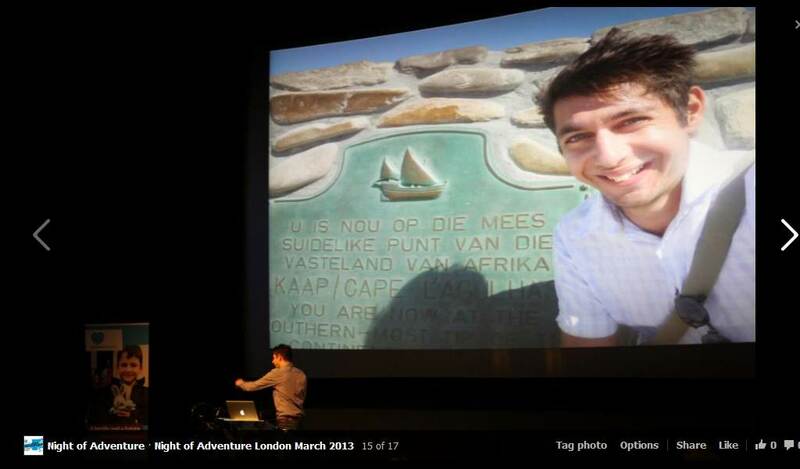 To make my West End debut even more nerve-wracking the 14 talks had to follow the pechakucha 20×20 format. In other words, we had just 20 slides in which to tell our tales, each lasting no more or less than 20 seconds each. You can also watch the recordings of the other excellent speakers here.